Tonight's special guest is Misty Livingston from El Mirage, Arizona, a survivor of physical, sexual, psychological, and spiritual abuse. Misty serves both as NAASCA's Arizona Ambassador and in the role of Newsletter editor. 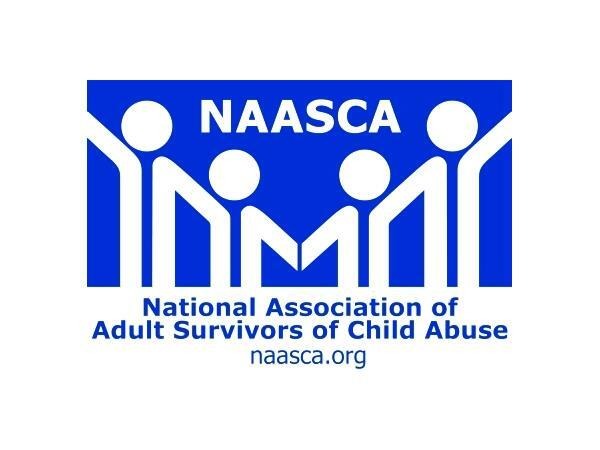 She shares, "I was drawn to NAASCA because in the last several months I have, at 40 years old, drastically changed my viewpoint about speaking openly about childhood abuse." And she certainly has a story of healing to tell. "My parents were addicts, and after they were incarcerated when I was eleven years old my two younger sisters and I were adopted by my aunt and uncle," Misty says. "At sixteen I returned to live with my parents, and disclosed being sexually abused by my uncle (my legal father). An investigation followed but did not result in his conviction." Now, years later, Misty is actively participating in her recovery. "I have CPTSD both from the childhood abuse (physical, psychological, sexual, spiritual) and from some trauma in my adult life." She goes on, "Honestly I struggle a lot still and, although at times in my past have managed it very well, I am continuing to seek therapy and understanding for how to live with the effects of the abuse." We're delighted to have Misty's active and ongoing participation in the organization . "I feel like NAASCA could be a place where I can use my experience, both good and bad," she says. "A place where I can learn to be whole and use the whole of my self instead of feeling the need to suppress who I really am."